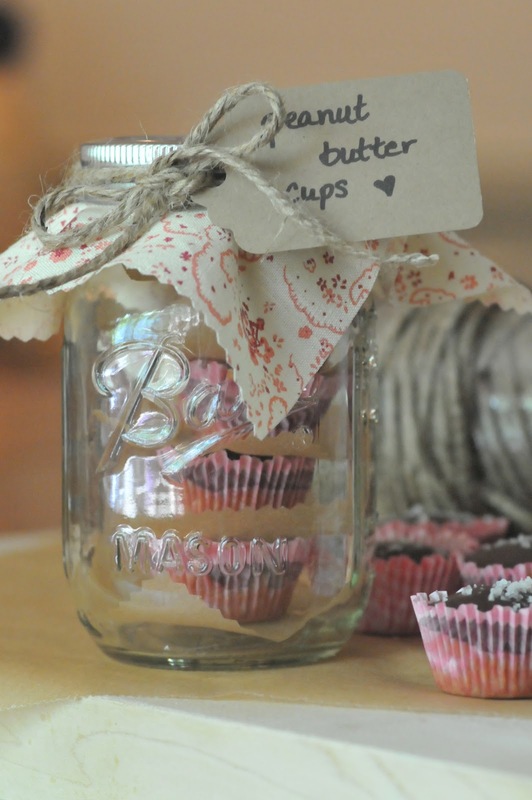 When my friend, Tiffany, pinned this recipe from Blue Eyed Bakers for crunchy, salty, chocolate peanut butter cups, I didn't waste a minute whipping up a batch. They are an easy, no bake, perfectly deletable treat to devour and share with friends. I'm pretty sure they will make a repeat performance at Christmas time when I bake for friends and neighbors. I'd like to try them with dark chocolate next time. Line a mini muffin tin with papers (you could also use a regular muffin tin if you prefer). ps. I ate my last two writing this post, thank you very much. pps. Adding the recipe index tab above has made me realize the imbalance of cooking to baking recipes on this blog. I plan to remedy that. More main meal recipes to follow. I think. Ha! I love peanut butter so these look amazing. I bet the sea salt is the perfect little kick to each bite!! Kitchen talk is so exciting!!!! And I agree about the comparison to wedding planning! These look so good - they'd never make it into the delivery jars at my house...I'd eat them all!! This is definitely a recipe I will try. I'm awaiting the first showing of your kitchen changes. Perfect timing! I was just trying to think of a little gift to get the teachers from Colin's summer camp. This is perfect. Now I need to whip these bad boys up before Friday. Yikes! I better get to it. Did you use a natural peanut butter by chance? Just wondering if it'd be too creamy. no, i used Jiff. andrew is my all natural child and he hates peanut butter so i didn't worry about the brand as much since i knew he wouldn't be eating them. but i'm sure all natural will be fine, the graham cracker crumbs will give it enough texture! About you being your own contractor - best thing you'll ever do. Exhuasting, frustrating, all-consuming, yes! However, you'll be on top of every thing that happens. My mom and step-father moved out of their house for a year and a half while it was being renovated and my mom was at that house bright and early every day on top of the workers, ordering things, making on-site decisions, etc. She said you have no idea how many costly mishaps and delays would have occured had she not been right there watching as they worked. You go girl! It'll be that much more rewarding in the end.